The Bluebird Guesthouse was participating in Portland's monthly Art Walk when we arrived yesterday. 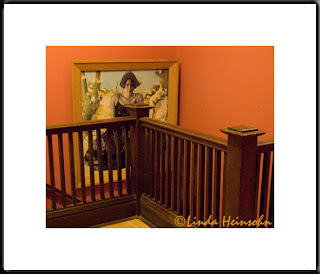 Here is the beautiful, second story stair rail and art from that event. The artist is Elliot Wall, www.buckwheatandgrits.com. This work is Pink Snow.